Learning and Advancing Team Sugar Fix! Here at Sugar Fix Dental Loft we never want to stop learning and advancing ourselves. 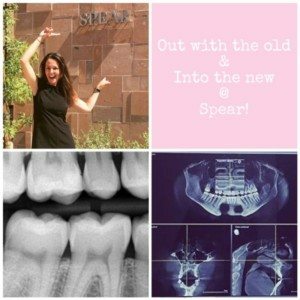 Our team recently returned from a continuing education course where we learned all about sinus and CBCT scans! As you may have read in one of our recent blogs, we were very excited to have installation complete on our new office equipment! The Orthophos XG was installed in our office in May. For those who may have missed that particular blog or are not sure what this machine does, the unit is capable of taking 2-dimensional and 3-dimensional images of your head and neck area! 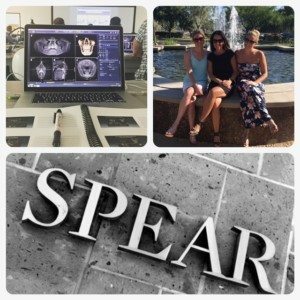 Since installation, Dr. Jessica Emery, Ashley, and Nicole flew to the Spear Education campus in Scottsdale, Arizona for advanced training on this machine and its software. The team spent two full days in a classroom working directly with the Sidexis software. The girls were lucky to learn from two of the top experts in the field; one instructor is a professor and director of Oral and Maxillofacial Radiology, and the other is a Board-Certified member of the American Board of Oral and Maxillofacial Surgery. Advanced Training at the Spear Education campus! The first day was spent on in-depth training on the Sidexis software. The class was hands-on, learning how to use maneuvering tools and settings in order to take the best images possible. Our team, also, learned just how incredibly safe it is to take these scanned images; the use of a lead apron is not even required! The amount of radiology received when taking a scan on our new machine is equivalent to that received when flying on a plane. That’s right, the SAME exposure you would have received on that trip you took to Florida this past winter. It’s that safe for you! Dental technology has come a long way from the days when we were kids. The second day was spent reviewing individual cases. We spent hours searching images in order to properly scan for abnormalities and diagnoses. On the scans provided, we found anything from extra teeth to sinus complications to cysts and masses. A large portion of the course was spent on how to electronically place dental implants using the patient’s scan. The software can, then, send all of the appropriate information to our Cerec Cad-Cam machine or a dental lab to make the restorative crown that is placed on top of the implant. Again, technology is amazing, and we are having so much fun learning it all! After all that learning, the team got to enjoy a little bit of the Arizona sun. Luck would have it that the temperature soared up to 117° while our team attended the seminar. 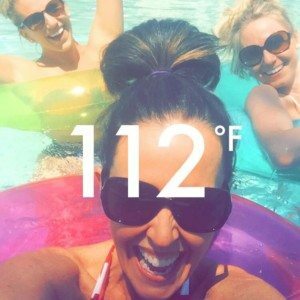 Scottsdale’s record high is 119! So, of course we had to get a little pool time in, as well. Nothing like a dip in the pool after getting your education on! We’ve had so much fun learning these advances in the dental field, and we can’t wait to share it with you all! Feel free to ask to see our newest technology the next time you visit Sugar Fix Dental Loft. Also, don’t forget to follow us on Facebook, Instagram, Twitter, and Snapchat (@drjessicaemery) to stay up-to-date on all the happenings at the Loft!